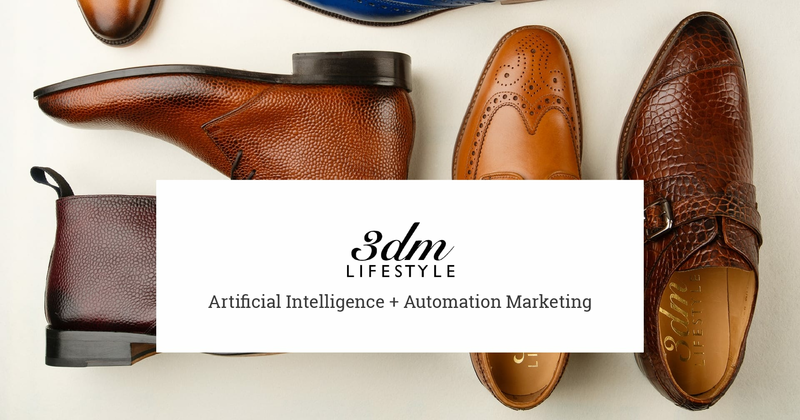 3dm Lifestyle is an online store in the SMB eCommerce vertical, featuring high quality leather dress shoes for men. They aim to create the finest products in this world starting with the best raw materials to achieve the highest qualities in their craft. Their products are understated luxury and can easily be understood anywhere and by anybody who pays attention to beauty and quality. They have a passion for quality, and breathe this into every product that they sell. Heavy Competition : In this highly competitive industry, the only way to make your mark is to reach out to the relevant audience with in depth product intelligence. As there are numerous players in this field already, you will survive only if you leave some impact by leveraging the detailed attributes of product and audience. New Product/Brand Launch : The client had limited experience leveraging audience and product intelligence through an automated platform to have strong impact on results when entering a new market. OnlineSales.ai provided them a solution that enabled them to approach the market confidently against a fiercely competitive marketplace. Branding : OnlineSales.ai started off with a generic & a brand specific campaign. Due to OnlineSales.ai’S suggestion and optimizing algorithm we were able to scale up campaigns though this limited focus to start. Over time and as OnlineSales.ai’s intelligence gained power with a relevant statistical sample of sales, sales traction accelerated and more budgets were placed on the Dynamic Search Ads & PLA campaigns. User Intent : With the regular set of optimizations our platform was able to identify the campaign settings that worked well and provided real time recommendations accordingly. Shopping Ads : After launching the PLA ads, OnlineSales.ai drilled down to individual SKU level data and set bids for each product based on their performance to optimize for monthly sales. Scheduling the ads based on their best performing Day of the week & hour of the day & implementing device level optimizations fetched us immediately impressive results. As one illustrative example of this, OnlineSales.ai was able to identify the best performing Day (Wednesday) & Time (10 am to 9pm) for one of our campaigns, and increase bidding by +20 % there to achieve 50%+ transactions from that particular time slot. Also, regular recommendations provided by OnlineSales.ai on optimizing the Brand & PLA campaigns in terms of negative addition, refreshing ad-copies helped us to reach out to relevant audience. As 3dm scaled up across geos, bidding & optimisation at a geo level played a major role. Geo specific ad-copes & features like Expanded Text ads helped boost quality traffic in terms of CTRs. OnlineSales.ai has been able to improve on conversion rate by ~709% from 2.55% in May 2016 to 8.78% in Aug 2016. OnlineSales.ai has been successful in reducing the CPLs by 778% as compared to the CPLs in May 2016. The client observed there are repeat visitors on the website, also launched PLA RLSA ad and this helped in further optimising the campaigns and cutting down the costs and CPLs. Feed enhancements: Proactively optimising the feed in collaboration with 3dm Lifestyle team has helped to avoid feed disapprovals. Enhancing the Product Description in the feed has helped us in acquiring new customers.